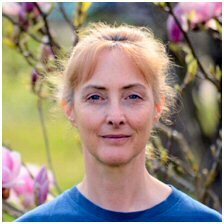 Jenny Furby has practised Iyengar Yoga for over 20 years and taught since 2005, and she is now qualified at Junior Intermediate 3 Level. Jenny lives and teaches in the Andover in Hampshire. She is a caring, warm hearted and respectful teacher. She is passionate about Yoga and Iyengar Yoga attending regular classes with senior Iyengar teachers, and has studied at RIMIYI in Pune, India. This yoga holiday will be a great opportunity to explore the many aspects of Iyengar Yoga at a deeper level incorporating asana practise in the mornings, with restorative and pranayama practise in the late afternoons. Students of all ages and abilities are welcomed on this yoga week. Growth and learning is encouraged at the pace you feel you are most comfortable with.